COLUMBUS — A statewide police group has announced its opposition to an Ohio bill that would cut the penalties for concealed-carry permit holders who don’t tell police that they have a weapon when they’re detained by authorities. McDonald said Monday there’s no reason law-abiding citizens should withhold the fact that they are concealed weapon permit holders. 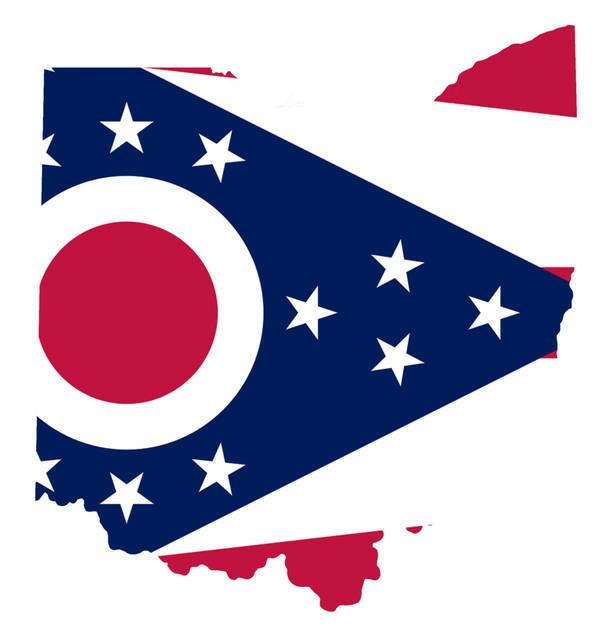 The proposal in the Ohio House would reduce the penalty for not alerting police about the guns from a misdemeanor that carries up to six months in jail and a $1,000 fine to a $25 fine. Gun rights groups are hoping lawmakers do away with the penalties entirely. CINCINNATI — Police near Cincinnati say a naked man tried to use a tomahawk and bayonet to attack officers responding to a call at a home and is now charged with felonious assault. Colerain Township police say the 52-year-old man rushed toward officers and repeatedly asked them to kill him during the Oct. 1 confrontation outside a relative’s home. Instead, police body camera video captured officers using a stun gun and firing rounds of an irritant chemical with incapacitating effects similar to pepper spray. They say the man was subdued and taken to a hospital. The officers weren’t seriously hurt. Police had been called to the home on a report of a domestic conflict. Colerain Township police Chief Mark Denney tells The Cincinnati Enquirer he thinks officers handled the dangerous situation well. BROADVIEW HEIGHTS — Police in suburban Cleveland say a van that was used to steal an ATM crashed as it fled from officers, killing two of the four suspects riding in the vehicle. WEWS-TV reports that the weekend crash occurred after the van smashed into a gas station to steal an ATM in Broadview Heights. Police say the crash led to the deaths of two suspects, a 21-year-old and a 22-year-old. Investigators say two surviving suspects were taken into custody. Police didn’t immediately release information about those suspects or whether they face formal charges. DAYTON — An officer who filed a lawsuit against an Ohio police department alleging gender discrimination has been fired. The attorney for Sgt. Tonina Lamanna says she was fired Oct. 3 after the city of Dayton accused her of being untruthful and filing false documents. Lamanna’s firing came after she filed a civil lawsuit against the city seeking damages in excess of $75,000. The woman claims in her lawsuit that she has been subjected to harassment since she filed her first complaint with the Ohio Civil Rights Commission in 2010. Her attorney says she plans to appeal her firing and will file a charge with the U.S. Equal Employment Opportunity Commission for wrongful termination. WOOSTER — Police are searching for the person who shot a yellow Labrador retriever with an arrow. The Redicks say they had to take Cosmo to an animal clinic in Copley for an emergency surgery to remove the arrow. Redick says the veterinarian found the arrow missed Cosmo’s heart and lungs by millimeters. Cosmo is now back at home and is expected to make a full recovery. The Wayne County Sheriff’s Office is asking anyone with information to call. MANTUA — A northeast Ohio school district that canceled two high school football games while police investigated whether a crime was committed during an unspecified incident says its high school will resume its regular football schedule. Superintendent David Toth of Crestwood Local Schools confirmed Monday that the investigation at Crestwood High School in Mantua has been completed. Toth said he couldn’t provide details due to privacy laws. The case has been presented to the Portage County Prosecutor’s Office for consideration of any possible criminal charges. The high school’s athletic director said Monday that the Red Devils’ football team will resume its regular season Friday when it travels to Rootstown to take on the Rovers. YOUNGSTOWN — The faculty union at Youngstown State University in northeast Ohio says union members have approved a tentative agreement for a three-year contract that includes salary increases. The Vindicator reports that faculty members approved the tentative agreement with university administration on Monday. The agreement includes base salary increases, increases for minimum salaries, and a flattened employee insurance contribution, among other items. The contract period lasts until 2020. Union president A.J. Sumell says there were 174 votes in favor of the agreement, nine votes against it and one abstention. A message seeking comment from YSU’s administration was left at university offices.